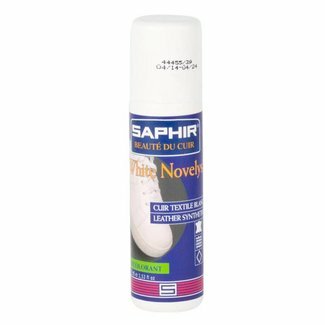 Saphir Beauté du Cuir self adhesive suede heel grips contai..
Saphir Beauté du Cuir Pommadier edge brush is a perfect too..
Saphir Beauté du Cuir Shoe-Eze softener spray is ideal for ..
Saphir Beauté du Cuir White Novelys 75ml is a highly opaque..
Saphir Beauté du Cuir Decapant leather stripper 100ml can b..
Saphir Beauté du Cuir Sport Loisir Outdoor 100ml is a leath..
Saphir Beauté du Cuir Everest Dubbin Graisse 100ml was deve..
Saphir Beauté du Cuir winter stain & salt remover 75ml is a..
Saphir Beauté du Cuir Crème Universelle leather lotion 150..
Saphir Beauté du Cuir Reno'Mat 100ml is a leather cleaner w..
Saphir Etalon Noir saddle soap 100ml cleans and nourish the ..
Saphir Beauté du Cuir oval shoe brush is made from hand wax..
Saphir Beauté du Cuir reptile leather care 50ml is a shoe c..
Saphir Beauté du Cuir Vernis Rife patent leather cleaner 10..
Saphir Beauté du Cuir Menthol Spray 200ml is a hygienic and..
Avel Hussard Balpen Inktvlek ink stain remover is developmen..
Saphir Beauté du Cuir Protective Oil HP Spray 250ml is deve.. 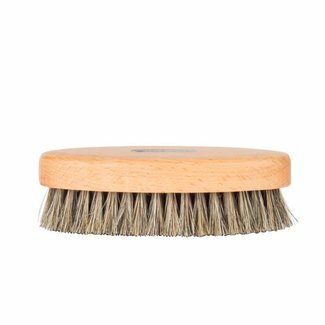 Taking care of your footwear can involve a lot of effort but if your shoes are neglected, you’ll appear scruffy and ill-kempt. 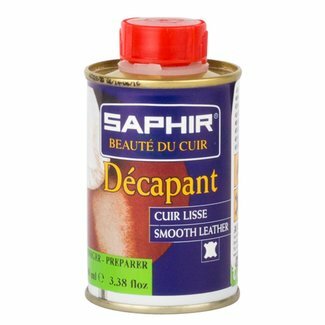 Saphir beauté du cuir have an array of luxury items which can help you to ensure that your footwear remains in immaculate condition at all times, not just helping to make sure it looks beautiful but extending its lifespan too. 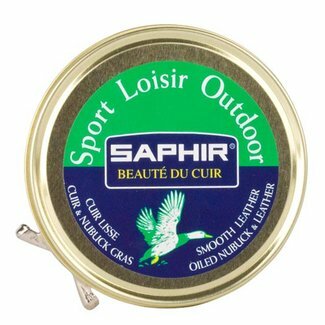 And it’s not just your footwear which could benefit from the luxury formulas from Saphir beauté du cuir but also the rest of your leather goods too, such as saddlery and bags. 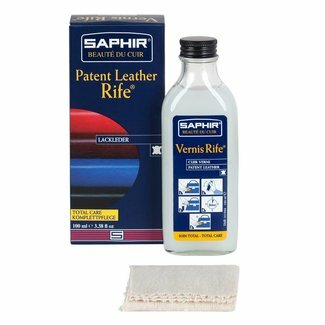 Take a tip from the experts today and protect your leather for a long-lasting deep shine and superior quality. 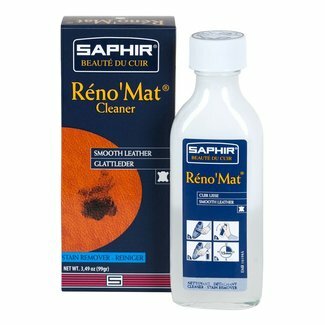 Saphir beauté du cuir has a huge range of products designed to cover every aspect of leather care from cleaning to protecting, stain removing to dying. 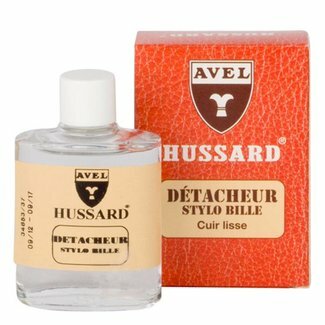 However, the one thing that all their products have in common is an absolute commitment to quality, from Avel, the French manufacturer behind the brand. 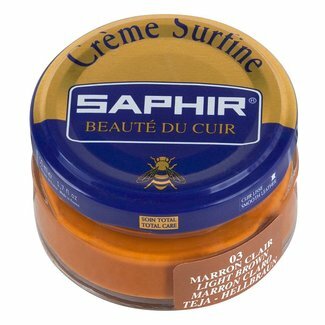 One of the main principles of the Saphir beauté du cuir range is that only the very best natural and raw products are used in the creation, with ingredients such as jojoba oil, lanolin, wheat proteins, mink oil, beeswax, carnauba wax and mineral wax. 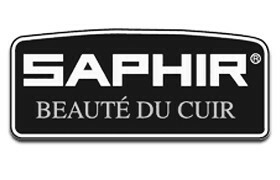 You’ll never find any artificial silicone or resin sprays or ingredients in any of the Saphir beauté du cuir range. Only natural ingredients are preferred for a richer, deeper and more long-lasting finish you can really trust. 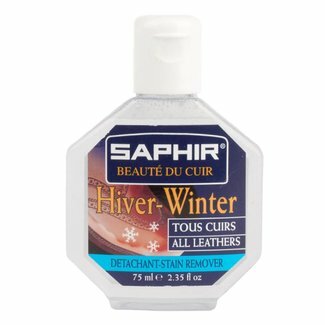 Every kind of cleaner and care product you can think of is included in the extensive collection by Saphir beauté du cuir, so what you choose will depend on your own footwear. 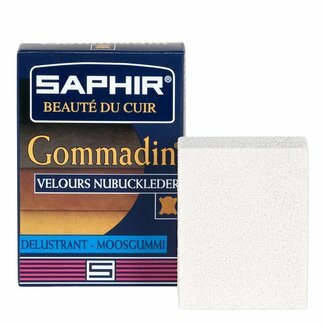 If you favour suede and nubuck, the Saphir beauté du cuir gommadin suede cleaner might be the product for you. 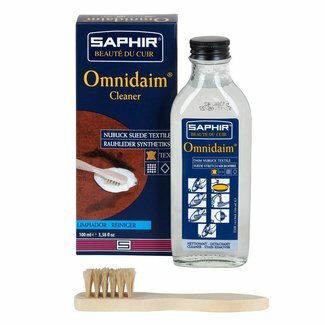 The gommadin bar will get rid of water marks, dirt and stains from your delicate suede without damaging the material underneath. 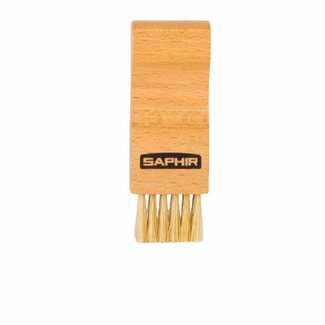 The gommadin is designed to deliberately crumble during use, thus leaving the surface of your shoe intact and without changing or affecting the original colour. 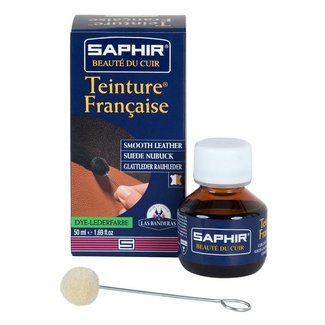 Any residual crumbling can easily be removed from the surface of the shoe with a Saphir beauté du cuir shoe brush. 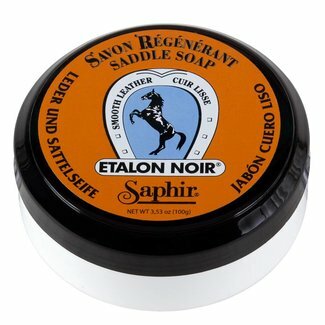 For leather goods, the Saphir Etalon Noir Neats Foot Oil is the perfect treatment for leather goods which have dried out such as luggage, shoes and saddlery. 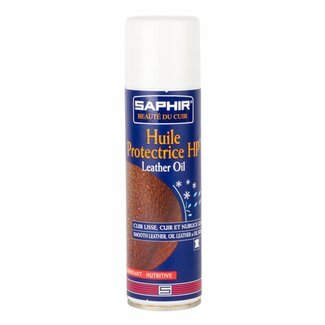 Gently softening the surface and restoring moisture, this treatment will saturate the leather with supple goodness. 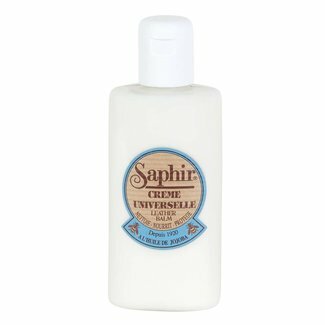 As well as helping to rehydrate dried out leather goods, the Saphir Etalone Noir Neats Foot Oil will also help to protect against the elements, as well as against the damaging qualities of mud. 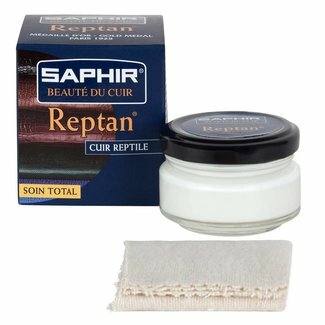 When applied to the surface, it can also help to strengthen the seams, minimising the risk of tearing. 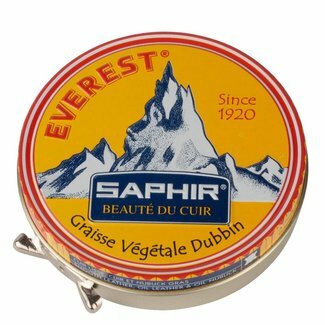 For shoes which are likely to encounter more extreme weather conditions on tough terrain, the Saphir Beauté du Cuir Everest Dubbin Graisse has been designed with exactly that in mind. 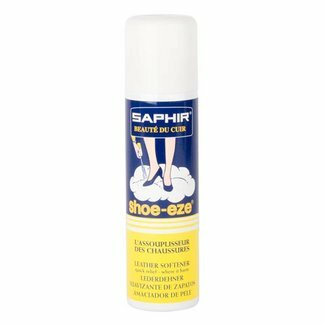 Created for shoes which will go mountain climbing - as the name might suggest! 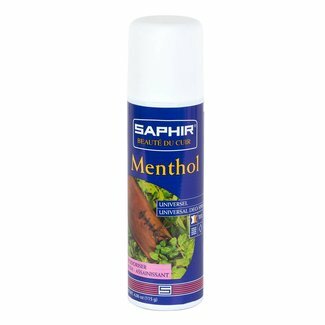 - As well as any items likely to be exposed to the extremes of snow, water and mud. 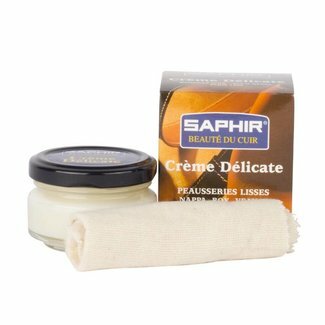 A blend of natural ingredients including sesame and rice wax provides the protection which can be used on smooth leather, nubuck and waxed leather. 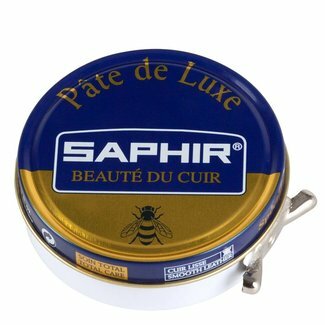 Make sure your footwear and leather goods are everything they could be by browsing through the range of Saphir beauté du cuir here at Quality Shop today.